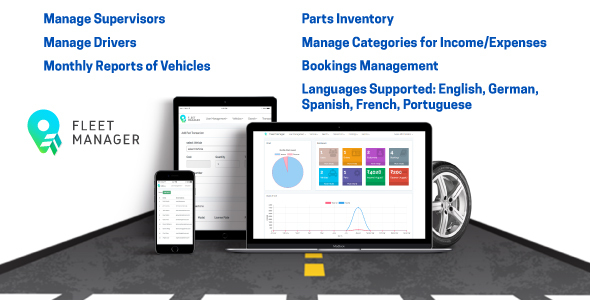 Fleet manager is a simple yet intuitive web application that provides a full, end-to-end Fleet management platforms for fleet-based companies of all sizes. It enables the company to manage vehicles and drivers, manage inventory, keep a track of income and expenses and get detailed periodical reports. This efficient web application would ease the task of managing complex tasks related to companies in the transportation business.